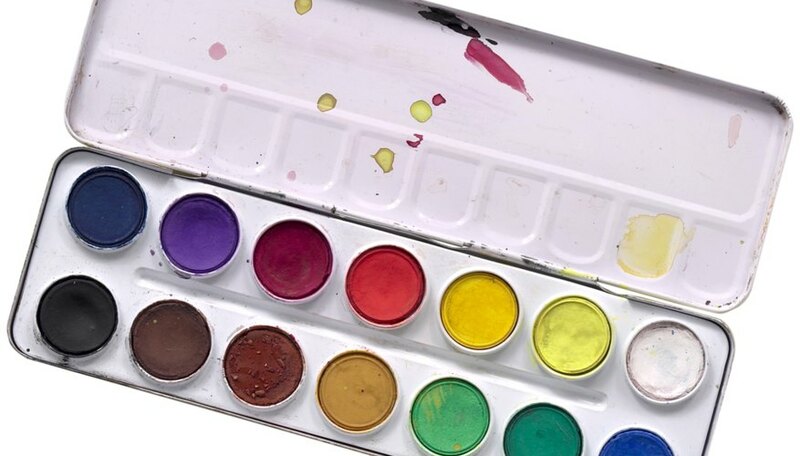 Some store-bought watercolor sets only come in a few colors, such as red, blue, green, black, white, purple and yellow, so if you want other colors you may have to mix them on your own. You can go to an art supply store and purchase a pre-made hot pink watercolors, but watercolor dries fast and sometimes you need to mix it on the fly while painting, or you may want a particular shade to match paint something in your home. Mixing your own hot pink watercolor only takes a moment. Using your paintbrush, place an ample amount of red watercolor on your mixing surface. Rinse your brush. Add a dab of purple paint to the red while the paint is still wet. Rinse your brush. Gradually add yellow paint until you have achieved the hot pink color you desire. Add white to your mixture if you want to create a paler shade of hot pink. Stephanie Waszak has an associate degree in multimedia from the Art Institute with a minor in Web journalism. She has been writing for online publications ranging in topics from beauty to music reviews since 1999.